billion to $3.082 billion as of today's date. employees not involved in any law enforcement function. Public Employees' Retirement System will escalate over the next decade. Officer Don Kent, who gave a snapshot presentation of the report's highlights. paying those expenses without any offsetting gains, the supervisor said. Kent said it was too early to tell what impact that may have. justice causes over broader money-making opportunities. pension fund earned 8.6 percent on its portfolio in the last fiscal year. category, it will be the equivalent of 22 percent of payroll. percent and 31 percent, respectively, by 2030. 2005, as well as some accounting adjustments. By way of scale, the county's aggregate budget is $5.6 billion. plans with CalPERS, figures showed. 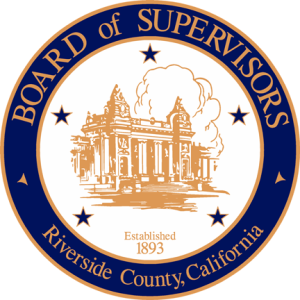 Riverside County Supervisors are asking for more information following a report by a committee looking into the county's escalating pension liability for county employees. More from KVCR's Ken Vincent. After years of lawsuits against it, California's 2012 overhaul of the public employee pension system has finally reached the state Supreme Court. More from KVCR's Ken Vincent. A new report finds city employee pension costs will continue to rise in California, putting further stress on cash-strapped local governments. More from KVCR's Ken Vincent. Riverside County has contracted with a firm that will supply nurses to fill in at county medical facilities in the event that county-employed union nurses participate in labor strikes. More from KVCR's Ken Vincent. The Riverside County Sheriff's Department has raised the rates it charges cities to contract with the sheriff's department for police services. KVCR's Ken Vincent has more.